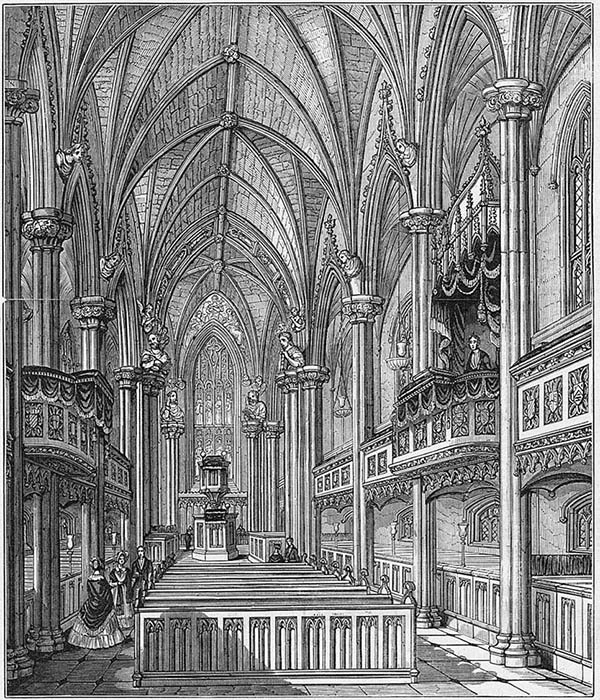 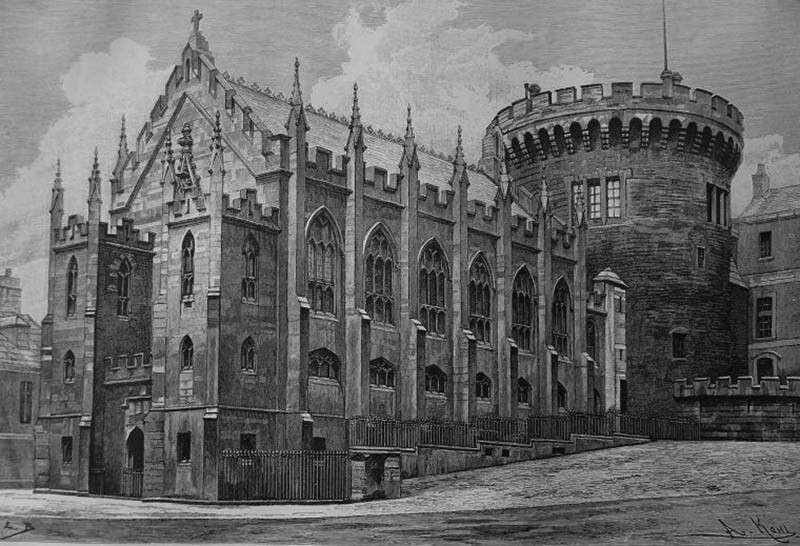 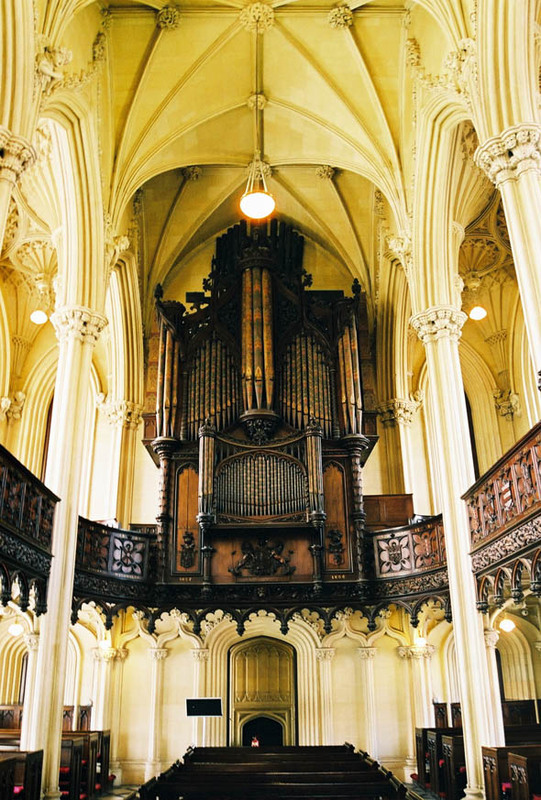 The Chapel Royal, or as it is now known the Church of the Most Holy Trinity, was designed in the Gothic style by Francis Johnston. 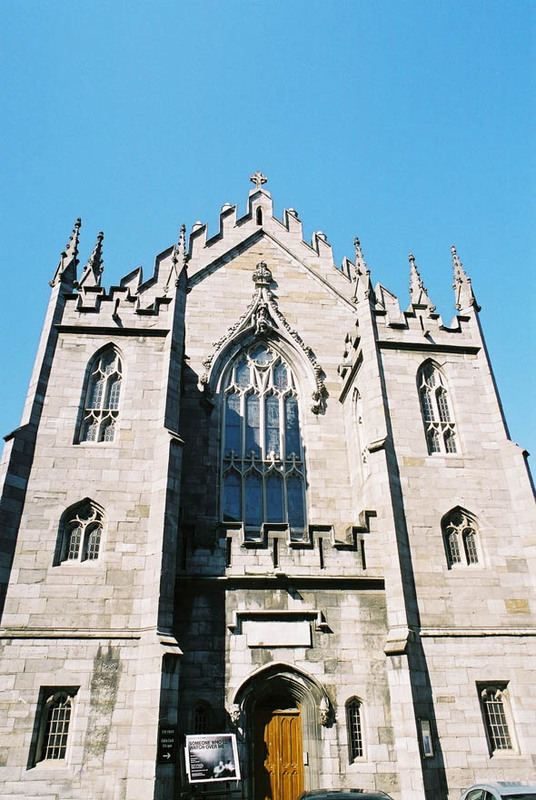 It is built on the site of an earlier church which was built around 1700. 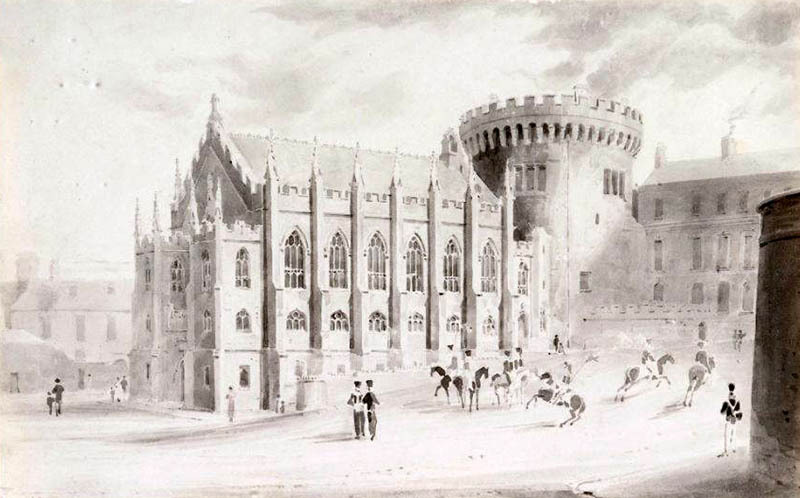 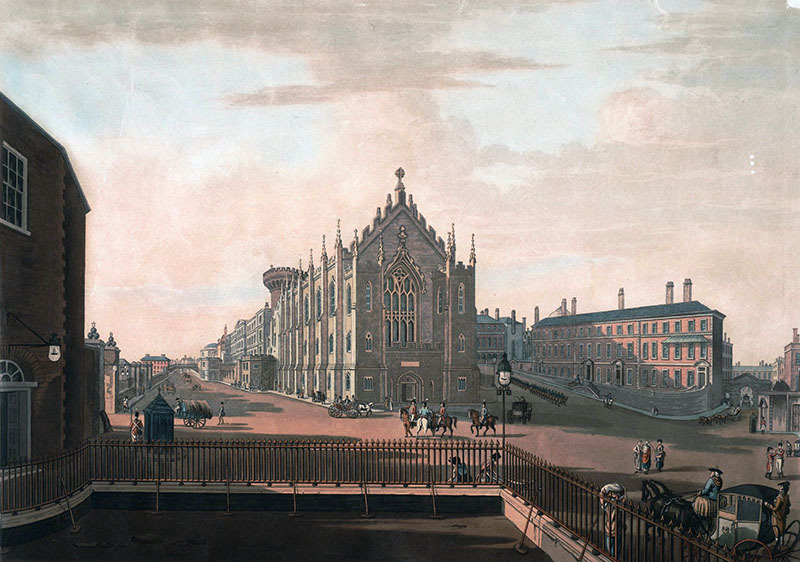 The present structure was started in 1807 and completed in 1814 and cost £42,000. 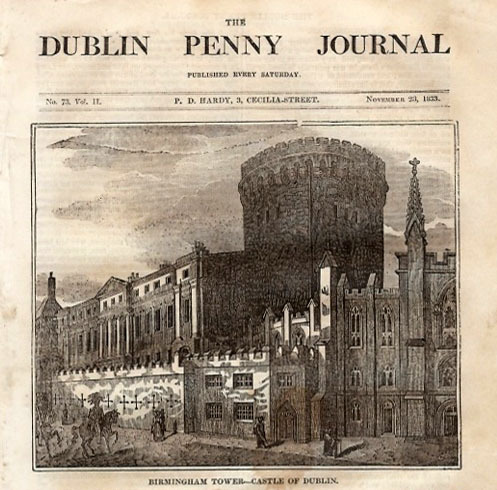 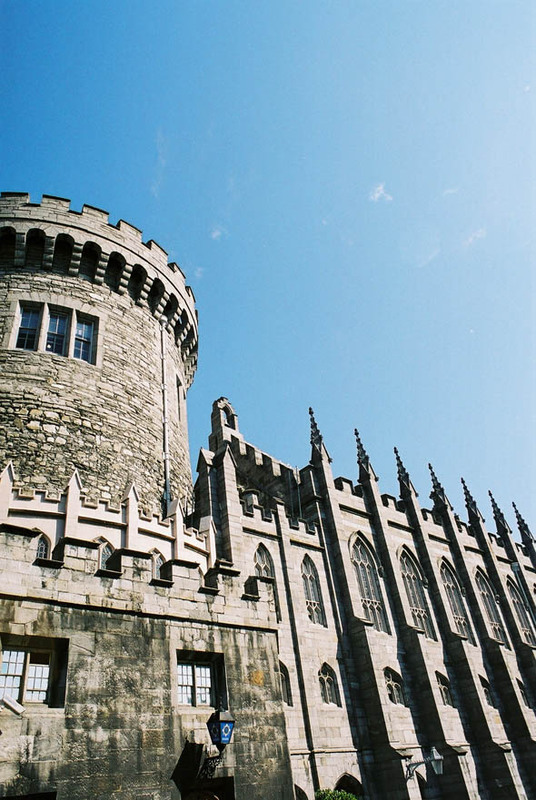 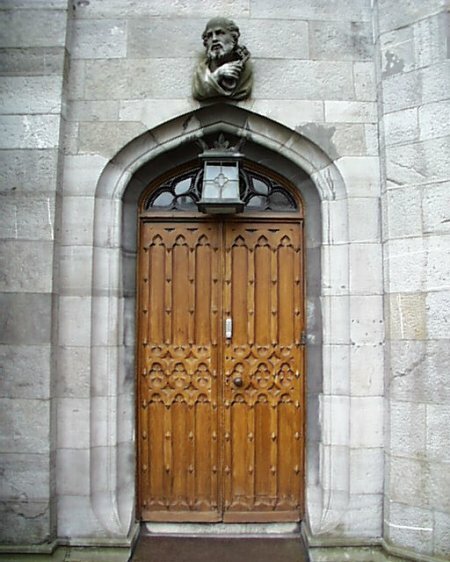 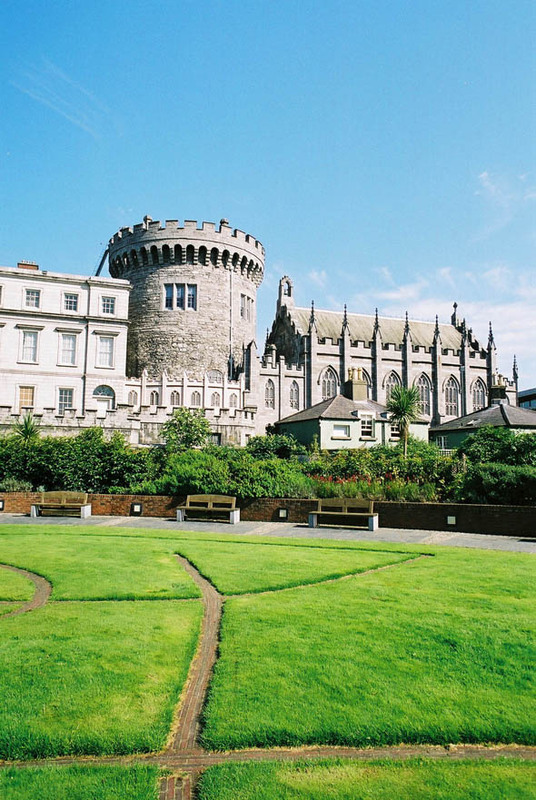 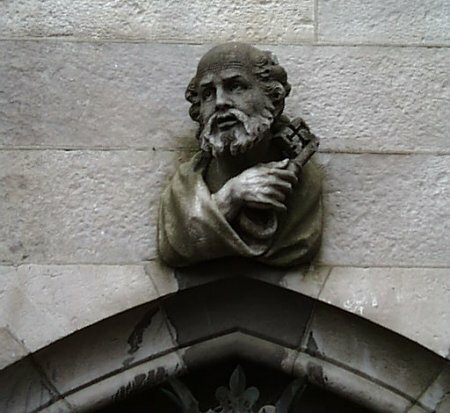 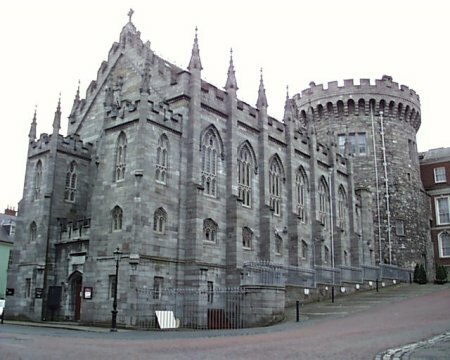 The exterior is decorated with over 100 carved stone heads by Edward Smyth and his son John. 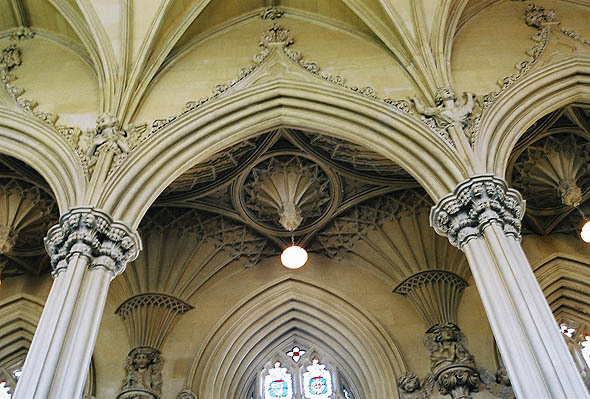 The heavily ornate Gothic exterior masks an equally ornate interior with internal plasterwork by George Stapleton, and wood carvings by Richard Stewart. 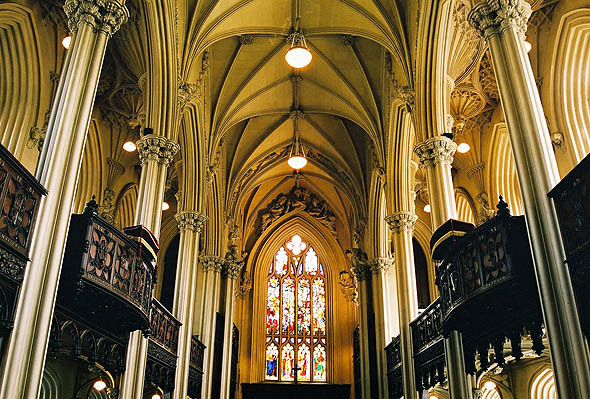 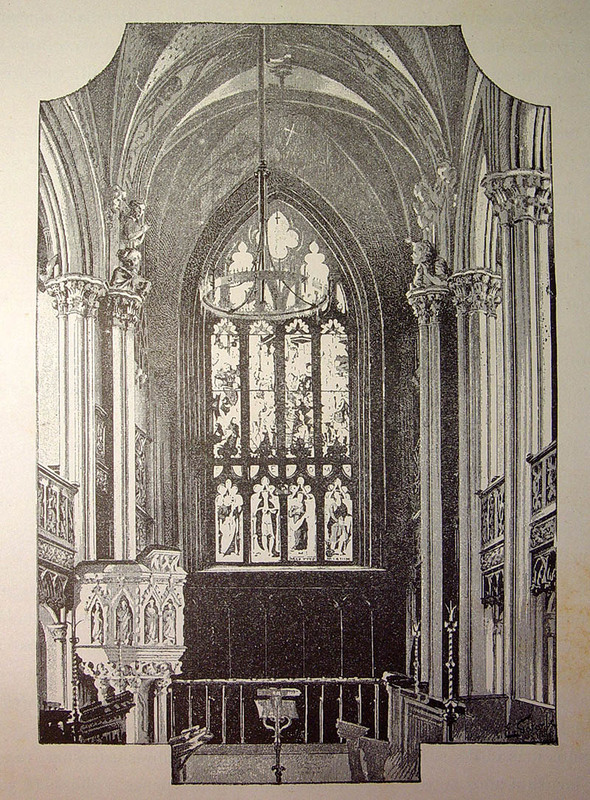 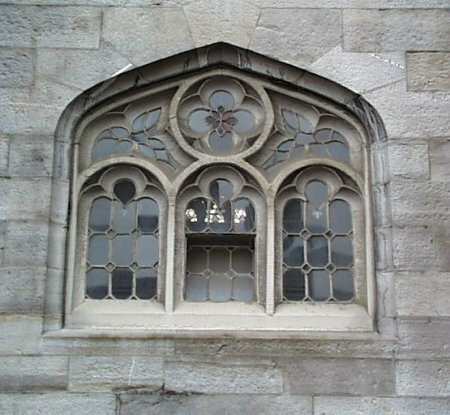 The interior is also notable for its old stained glass, purchased on the continent for the chapel, its carved oak galleries bearing the arms of the knights of the Order of St Patrick. 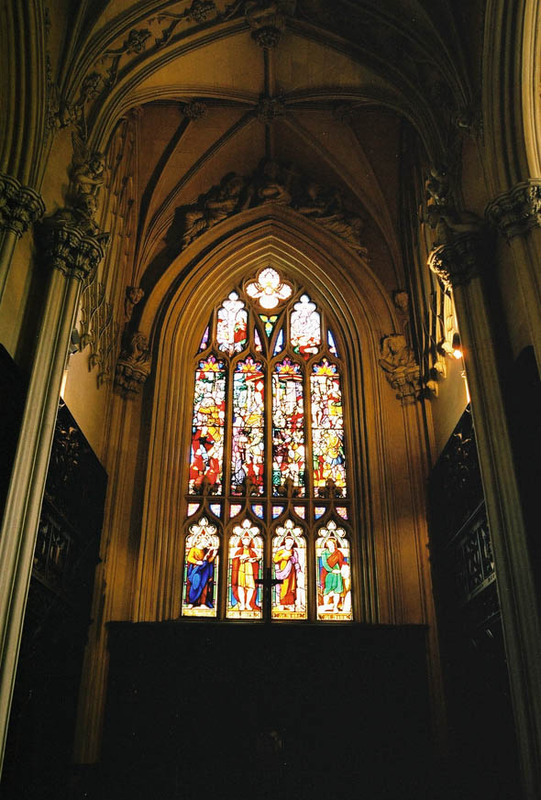 The Arms of all the Viceroys from 1172 until those of the last Viceroy Lord Fitzalan in 1922 are also on display as wood carvings and in stained glass.